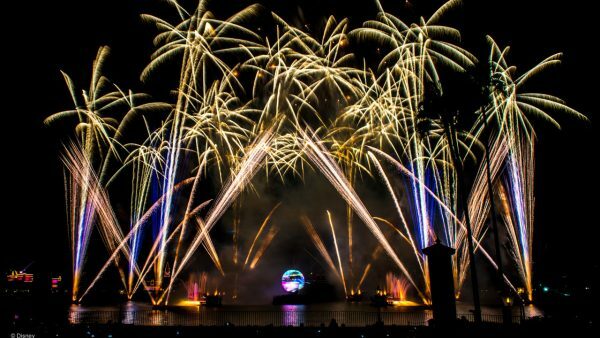 ‘IllumiNations: Reflections of Earth’ at Epcot is ending next year! After nearly 20 years of delighting Epcot® Guests with the emotional story of humanity told through music, fireworks, light torches and more, “IllumiNations: Reflections of Earth” will be ending in the second half of next year. The Disney Parks Live Entertainment team is already busy creating new thrills to debut immediately following the conclusion of “IllumiNations,” continuing the tradition of nightly entertainment on the World Showcase Lagoon. “IllumiNations: Reflections of Earth,” which is currently planned to run to the end of summer 2019, has entertained millions of guests gathered around World Showcase Lagoon sharing the light and a story since it debuted in October 1999 as part of the Walt Disney World® Millennium Celebration. During the coming year, Disney will be celebrating this classic show, so you still have plenty of time to experience it again and again, as excitement builds for what’s next. 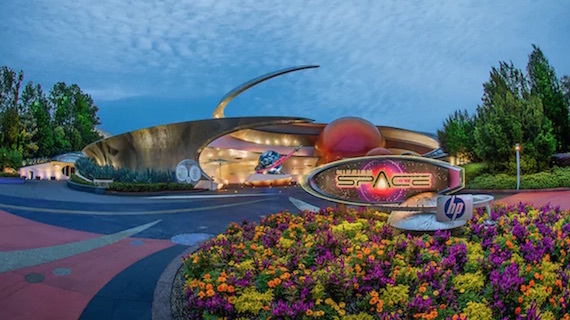 We know that Disney has got big plans for their multi-year transformation of Epcot, with new experiences that will “Wow!” your while keeping true to the original vision of the park. And the all-new nighttime fireworks spectacular coming to Epcot’s World Showcase Lagoon will be part of the park’s exciting evolution. 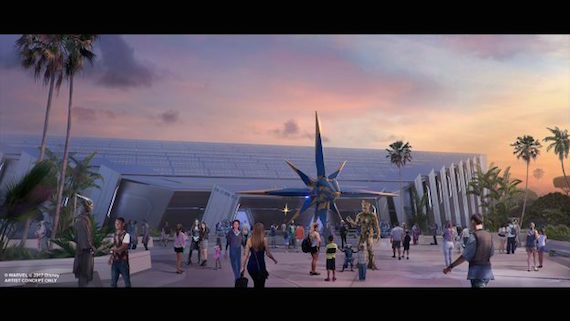 The new show will join several previously announced experiences coming to Epcot, including the highly-anticipated “Guardians of the Galaxy” roller coaster attraction, a “Ratatouille”-inspired attraction in World Showcase, a new table-service restaurant adjacent to Mission: SPACE, and much more! To book a Walt Disney World Vacation, call 855-434-9397 or request a quote online! Recently, we shared dates for this year’s Mickey’s Very Merry Christmas Parties at Magic Kingdom® Park. And today, we’re back with another holiday update for you! We’re happy to share that the 2018 Epcot® International Festival of the Holidays will return to the park Nov. 18 – Dec. 30, 2018. The Candlelight Processional also returns this year and for the first time, the popular holiday tradition will open for Thanksgiving on Nov. 22-Dec. 30, 2018. The Candlelight Processional, a holiday must-do for many Epcot Guests, is a retelling of the traditional Christmas story read by a celebrity narrator, accompanied by a massed choir and live orchestra. Stay tuned for updates on this year’s Candlelight narrators and dining package information. One of the hallmarks of the Epcot® World Showcase pavilions is their ongoing mission to bring authentic cultural experiences to Guests. From live entertainment, to cultural representative Cast Members, to film experiences showcasing majestic vistas of the countries, Disney strives to give guests a glimpse of the people, culture and history of the country through art, dining and architecture. For some countries, that includes an exhibition of authentic cultural art. There have been recent updates to the art gallery in Mexico, and more exciting work is underway to refresh the gallery in Norway. Also coming this summer to the American Heritage Gallery at The American Adventure is a brand new exhibition called “Creating Tradition: Innovation and Change in American Indian Art”. “Creating Tradition: Innovation and Change in American Indian Art” is made possible through the collaboration of the Museum of Indian Arts and Culture (MIAC) in Santa Fe, New Mexico, and the Smithsonian’s National Museum of the American Indian (NMAI) in Washington, D.C. Among the featured artists with works on display are fashion designer Loren Aragon (Acoma Pueblo), noted doll maker Glenda McKay (Ingalik-Athabascan), and Juanita Growing Thunder (Assiniboine Sioux) from the Growing Thunder family of Montana. As with other exhibitions that have graced the American Heritage Gallery, this new exhibition will feature interactive elements, where some of the artists will share the creative process and inspirations behind their works in their own words. It’s the 25th anniversary of the Epcot® International Flower and Garden Festival, and the park is once again overflowing with the brightest plants, flowers, trees and topiaries adorning both Future World and World Showcase. 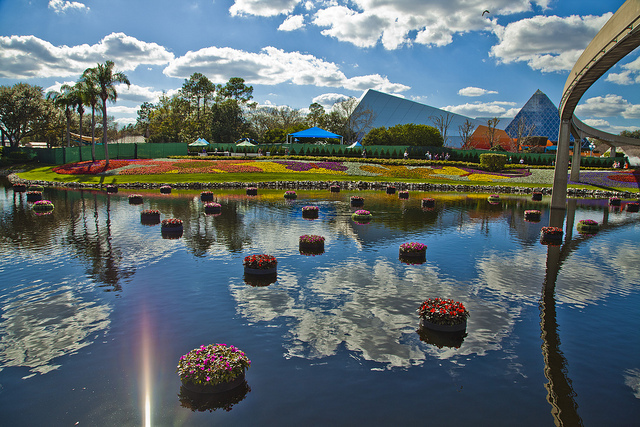 Gardens, Gardens and More Gardens: In addition to all the natural flora throughout the park, the Walt Disney World® horticulture squad has curated some truly breathtaking gardens for Guests to enjoy this year. New garden destinations this year include “The How-To Garden” and “The Imagination Play Garden” which are perfect for adults and kids to enjoy together. Returning favorites include “The Goodness Garden Butterfly House” and “The Water Wise Garden,” which showcase environmental responsibility as well as just being fun! Outdoor Kitchens: What would an Epcot Festival be without fun food and drinks? 15 Outdoor Kitchens this year grace World Showcase, with the newest being “The Honey Bee-Stro,” which features Roasted Cauliflower with Buckwheat Honey Carrot Purée; Honey Tandoori Chicken Flatbread with White Cheddar Cheese; and Local Wildflower Honey-Mascarpone Cheesecake with Orange Blossom Honey Ice Cream garnished with Fennel Pollen Meringue Kisses. These dishes were created to showcase multiple honey varietals in creative and exciting ways. Returning Outdoor Kitchen favorites include “The Berry Basket” (featuring a lamb chop with quinoa salad and blackberry gastrique) and “THE SMOKEHOUSE: Barbecue and Brew” (featuring a pulled-pork slider and warm chocolate cake with Bourbon-salted caramel sauce and spiced pecans). YUM! Spike’s Pollen Nation Exploration: One of the beloved characters from Disney animated short cartoons, Spike the honeybee, has been “pollen-nating” throughout the Festival. In this springtime scavenger hunt, gardeners of all ages can follow Spike on his pollination trail around World Showcase, where he will “bee” busy collecting nectar and pollinating gardens at Epcot. To get started, you can purchase your map and stickers at Port of Entry. Available while supplies last. 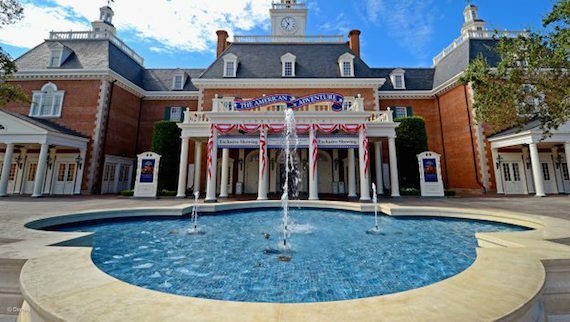 Garden Rocks Concert Series: Each Friday through Monday of the Festival (what we like to call a “Disney Weekend”), favorite artists from the ‘60s, ‘70s, ‘80s, ‘90s and 2000s will rock out at the America Gardens Theatre. Rick Springfield, Survivor and Lonestar are just some of the popular rock and rollers in the lineup. 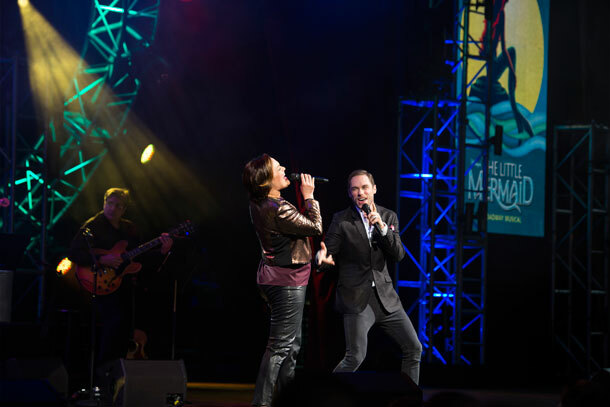 Each night, there will be three performances – 5:30, 6:45 and 8 p.m. – and you can pair a wonderful meal at several of Epcot restaurants with reserved concert seating in a nice package. Character Topiaries: Locations throughout the park feature some of the most beloved Disney and Disney•Pixar characters including Snow White and the Seven Dwarfs, Lady and The Tramp and Buzz Lightyear. Merchandise: Guests will find a wealth of hats, T-shirts, mugs and other fun Festival merchandise throughout Future World and World Showcase. Tours: One of the great ways to get the “inside track” on the Festival or the latest in gardening techniques is to take one of the tours offered during the Festival. There are tours of The Land pavilion greenhouses and the “Gardens of the World – Spring Edition.” There is also the daily Royal Tea Garden Tour at the United Kingdom pavilion that includes a tea tasting. If you want to visit this year’s festival, call us at 855-434-9397, or begin planning online today! With the “Guardians of the Galaxy”-inspired coaster, Disney is going big. This one-of-a-kind family attraction will be one of the world’s longest enclosed roller coasters when it’s added to Future World at Epcot®. It will feature a unique story currently being created by Walt Disney Imagineering and include a new innovative ride system that’s guaranteed to “wow” Guests. The “Guardians of the Galaxy”-inspired coaster is part of Disney’s ongoing work to transform Epcot into a place that’s more family, more relevant, more timeless and more Disney. “As we build upon its core mission of optimism and hope to inspire the world, the real will become fantastic and the fantastic will become real—in whole new ways at Epcot,” Bob Chapek, Chairman of Walt Disney Parks & Resorts, said. The attraction will open in time for the 50th anniversary of Walt Disney World Resort in 2021. Stay tuned for future updates. 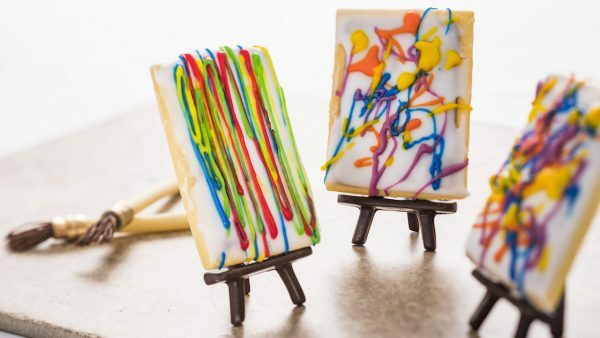 Can’t-Miss Experiences at the Epcot International Festival of the Arts! Back by popular demand, the Epcot® International Festival of the Arts started on Jan. 12, 2018 and runs all the way to Feb. 19, 2018. This year’s fest is seven days per week with the Disney on Broadway series running Fridays through Mondays. Here are some of the highlights you can enjoy! 5. Workshops/Seminars – A plethora of different offerings spotlight this year’s Odyssey Festival Center. You can learn to draw Disney animated characters; get tips on taking the perfect photos; and study a host of artistic genres including acrylics, watercolors, musical composition, storytelling and even floral arranging. The seminars are included with Epcot admission and are generally 30 minutes; and the workshops have a nominal fee but last 75 minutes and include hands-on training and a cool take-away. Seminars can be reserved day-of at the Odyssey Festival Center. Workshops can be booked in advance by calling (407) WDW-TOUR. 4. Kids’ Activities – Younger Guests will discover lots of activities including “Figment’s Brush with the Masters,” a scavenger hunt through the countries of World Showcase. They can also grab a paintbrush and join in on the fun as they help create a wall mural at Expression Section in World Showcase Plaza; and there is even an interactive kids “chalk art” area this year. 3. 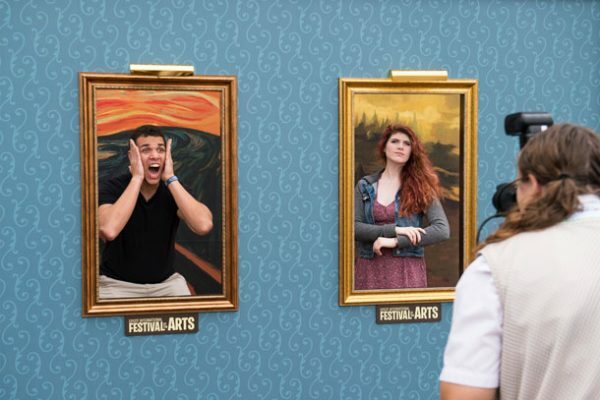 Artful Photo Ops – You can put yourself into classic masterworks of art and take the perfect selfie. This year’s newest photo ops allow Guests to step into Boticelli’s “Birth of Venus” and “picture” themselves in an homage to Mexican artist Frida Kahlo. 2. Food Studios – With more culinary options this year, you can find edible works of art including a basil- scented salmon roulade with purple rice and Romesco sauce; wild mushroom risotto with aged parmesan, truffle shavings and Zinfandel reduction; and a deconstructed Reuben sandwich, with shredded corned beef, Thousand Island dressing, pickled red cabbage and a rye curl. And the sweets are just as tempting! 1. Disney on Broadway Series – You can expand your theatrical horizons with show-stopping songs from award-winning Disney on Broadway musicals. One of the best ways to experience Disney on Broadway is through a dining package. Book a delicious breakfast, lunch or dinner and you can enjoy priority seating at the show. Disney on Broadway Dining Packages are available for breakfast, lunch and/or dinner and include a 3-course meal or full buffet, depending on the location. Want to visit Walt Disney World during the Epcot International Festival of the Arts? Call us at 855-434-9397 to book your vacation! The new Disney Skyliner transportation system will give Disney Resort Guests an unforgettable journey and a picturesque view of Walt Disney World® Resort as they take to the sky to travel from select DisneyResorts to Epcot® and Disney’s Hollywood Studios®. 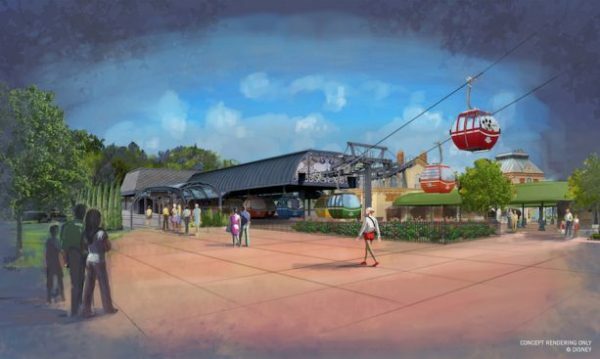 Today, we have a new details on what you can expect from the Disney Skyliner system. Select Disney Skyliner cabins will have iconic Disney characters incorporated into their exterior design to give the appearance that a Disney pal is riding along with guests, such as characters from the ‘Fab Five,’ figures from Disney attractions, fan favorites from movies, and more. The design of the Disney Skyliner station at International Gateway at Epcot will be inspired by the park’s nearby European Pavilions, and will be covered with metal and glass canopies, hand-painted murals and ornamental steel structures that harken back to the early 18th century Art Nouveau style. Guests traveling to Epcot via the Disney Skyliner will be welcomed to the park with a rare birds-eye view of World Showcase. 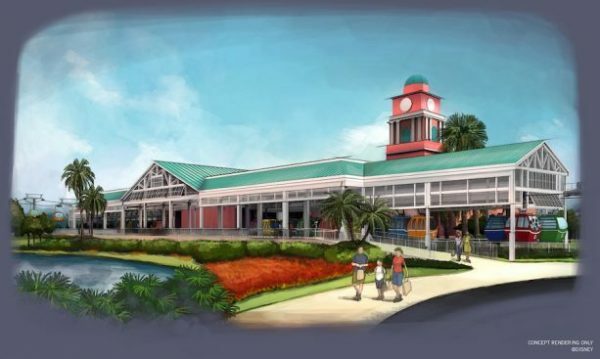 The Disney’s Caribbean Beach Resort station will be the hub of activity for Disney Skyliner. This station is inspired by the open air village marketplaces of the Caribbean and will showcase the nearby resort’s architectural detailing and color schemes. At this station, passengers will be able to transfer gondola routes to reach their destination, or are invited to sit and admire the waterfront resort setting. 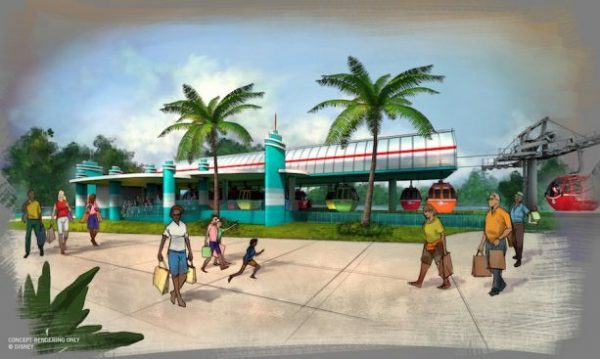 The design style of the station at Disney’s Hollywood Studios will fit with that of the park’s main entrance and bus stations. Passengers traveling here from the Disney’s Caribbean Beach Resort station can expect a new aerial perspective of the park’s iconic attractions, like The Twilight Zone Tower of Terror. Disney’s Pop Century Resort and Disney’s Art of Animation Resort will share a Disney Skyliner station that feels whimsical and contextual with both resorts. Upon departing the gondola station, Skyliner passengers will ascend over Hourglass Lake and enjoy a panoramic view of these two colorful resorts. Finally, cabins will slow down at the Disney Skyliner turn-station along Buena Vista Drive, where guests can see the mechanical and aerial components that make up the Disney Skyliner. Stay tuned for future updates, including an opening date on this incredible new option! 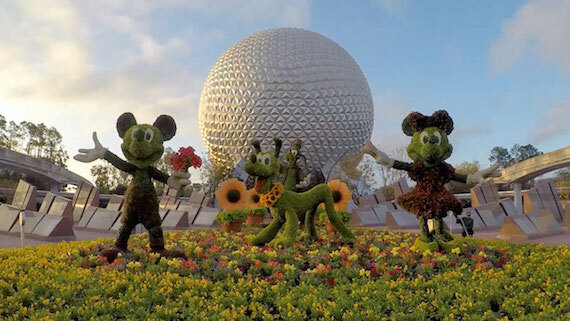 Art of Topiaries – The Disney horticulture team will be showing you how they create some of the amazing signature Walt Disney World® topiaries. Watermelon Carving – A watermelon will be artfully carved while you receive great tips and tricks to use at your next party. Magic with Water – The Disney Photo Imaging team will discuss tips and tricks for taking great photos around water; including swimming pools, play fountains, waterfalls, and even in the rain. You will also learn about using camera settings, lenses, and locations to get the best results. Animated Flip Books – This session is animation 101 where you will have the opportunity to create your own animated Flip Book while going over the fundamental principles of animation with one of the Disney animators. Food Styling 101 – If you love taking photos of amazing dishes, this is your experience. The session will look at the basics of what goes into making food photo- and video-ready. Lessons include going from ingredients to a beautiful hero shot, talking tricks and tools of the trade and sharing tips to make your own food photography shine. Inspiring Floral – This workshop will share floral design principles along with Disney-inspired creations to help you bring the magic of Disney home at any time of the year. Handcrafted Calligraphy – It’ll be difficult not to have fun learning the basics of pointed pen calligraphy. This workshop will cover topics such as mastering faux calligraphy, how to hold an oblique pen, letter formation, common issues you may run into, and which paths you can take with your new skill. Phone Cam Photography – This photography session from Disney Photo Imaging is for everyone! You will learn how to maximize the capabilities of your phone’s camera to improve your photos. Lighting adjustment, color adjustment, taking High Dynamic Range photos, time lapse, and how to edit photos are just a few of the topics on the agenda. Handwritten Typography – Nothing is more personal than typography created by hand and at this workshop, a Walt Disney World Resort creative service manager will teach you how to draw your own hand drawn typography to create personalized gifts and cards. Storytelling Drawings – A single drawing can tell a story – and this workshop will show you how to do it. A Disney animator will share the art of quick sketching from life. Gesture drawing of people covered in this session is a foundational practice for animators, storyboard artists, and directors. from January 12 through February 19, 2018! 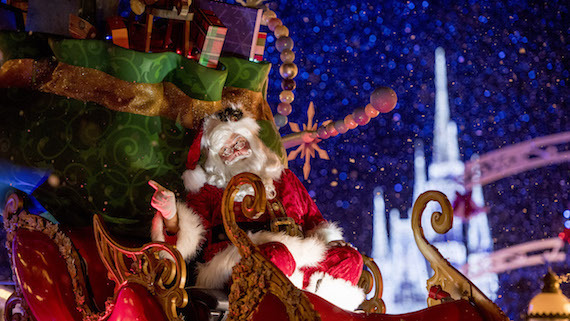 Celebrate the Holiday Season at Walt Disney World Resort! The holiday season returns to the Walt Disney World® Resort on Nov. 9, 2017 with must-see new magic and beloved traditions. You will discover countless ways to make memories as you get wrapped up in everything from delightful décor and enchanting events to festive entertainment, sensational shopping and more. 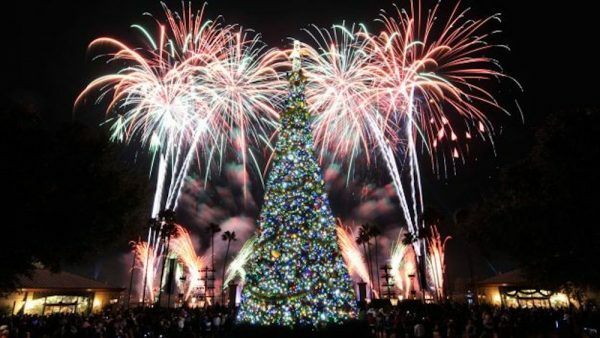 This year, Holidays Around the World is transforming into the Epcot® International Festival of the Holidays. Starting earlier than ever on Nov. 19, 2017 the festival includes fifteen Holiday Marketplaces, a new scavenger hunt, fresh and returning entertainment celebrating the holidays of cultures across the globe and more. The beloved Candlelight Processional returns again this year Nov. 24 – Dec. 30, 2017 with new narrators like Matthew Bomer, CCH Pounder and Pat Sajak. Candlelight Dining packages are available again this year for those who wish to enjoy a delicious meal and priority seating at one of the shows. 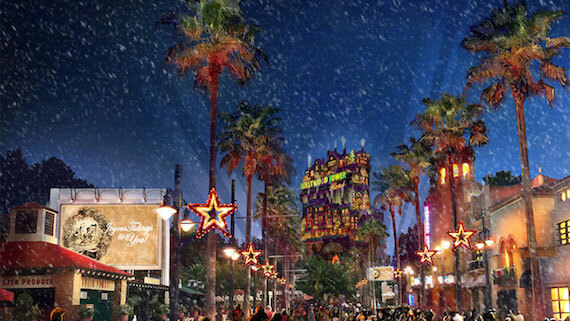 You can get wrapped up in a Flurry of Fun at Disney’s Hollywood Studios® Nov. 9 – Dec. 31, 2017 with the return of the nighttime favorite Jingle Bell, Jingle BAM! and new holiday happenings around the park. You can also catch the new Sunset Seasons Greetings where you can see Mickey, Minnie, Buzz, Woody, Olaf and more as they celebrate the season sharing stories, songs and holiday jubilee. Plus, there will be larger-than-life Christmas ornaments floating all along Echo Lake. During the holidays at Disney Springs®, you can find everything you need to fill your wish lists (and tummy). It’s the perfect place to bask in the joy of the season and discover unique shopping, festive décor, live entertainment, and even a visit with Santa. You are currently browsing the archives for the Epcot category.